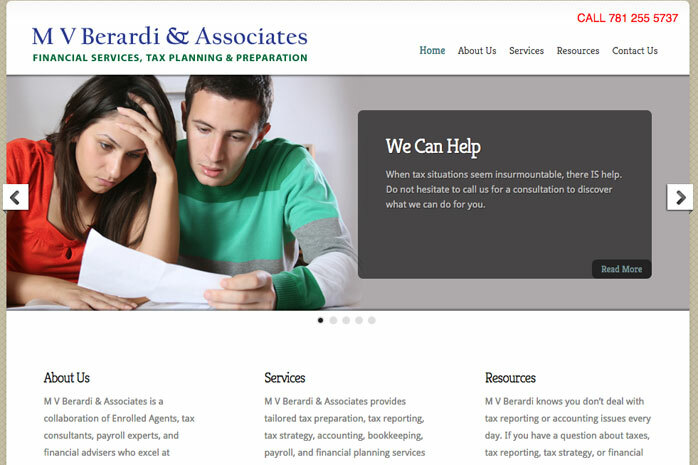 M V Berardi & Associates provides accounting, tax reporting, and financial planning services to individuals and businesses in the greater Norwood, Massachusetts area. Micheal Berardi wanted a site that would position the firm as experienced, professional, and empathetic to the needs of potential clients. The site was also to support the needs of existing clients with information, tools, and links relating to tax reporting and financial planning.